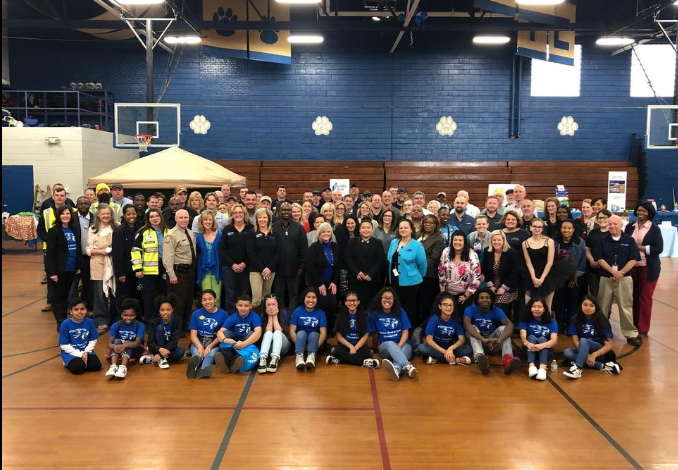 On Thursday, March 21, 2019, Karen Jennings of the Fidelity bank located on Cox Road and Stefanie Tarantino of the Fidelity Bank located on Union Road in Gastonia, NC, participated in the York Chester Middle School career fair. The annual event invites local businesses to educate students on what it takes to start a career in a specific profession. This year’s event had over 100 students in attendance. The Fidelity Bank associates spoke with students about the different career opportunities in banking, the benefits of choosing a banking career, as well as the educational requirements. In addition to the career information shared, students also enjoyed games and prizes.